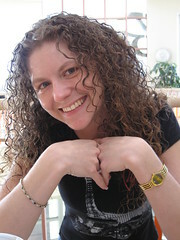 Today was one of those days where I was running around like crazy trying to get a lot of things done. So I decided to make a meal that will last us for a couple of days. We can probably get 10-12 servings out of this so we definitely have leftovers whenever we make it and it’s so easy to make. Prepare pasta to directions on the box. 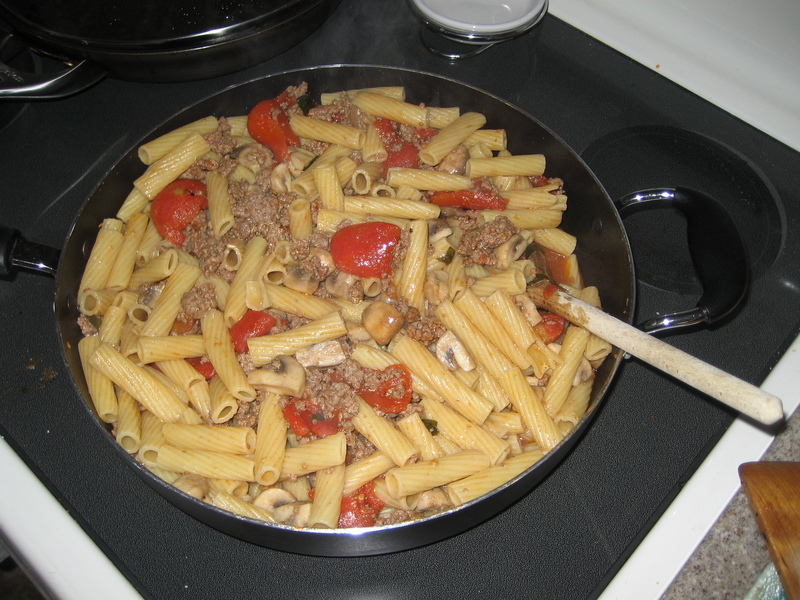 I make mine al dente. Brown the beef in a deep frying pan. Drain out any excess grease. 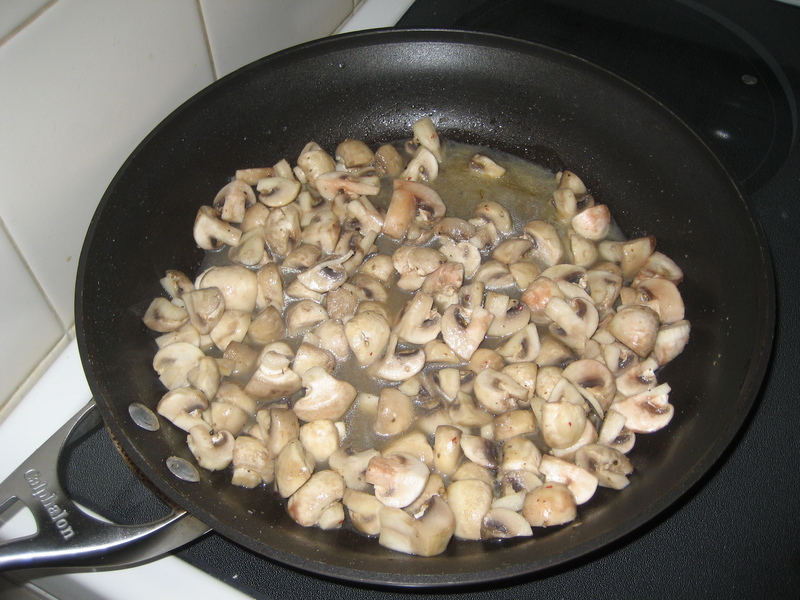 In a separate pan I saute up the mushrooms in a couple teaspoons of butter. 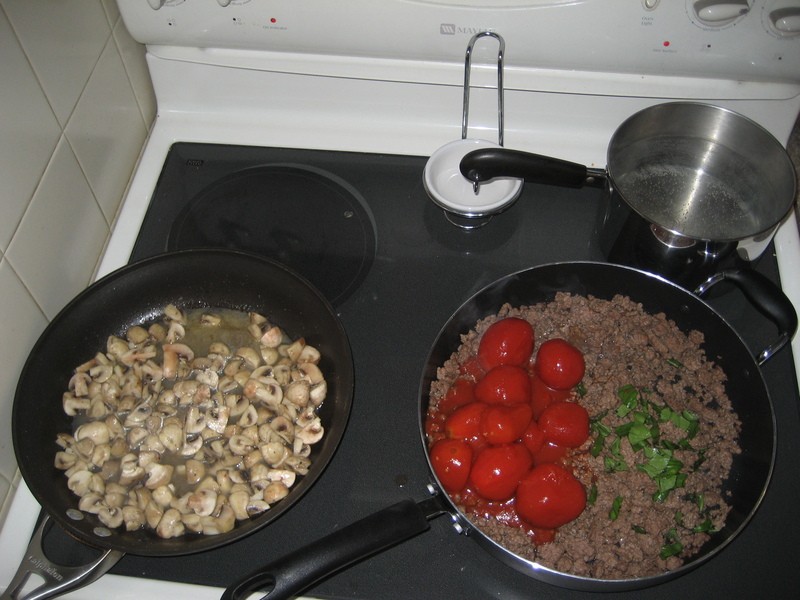 While sauteing, I add salt, pepper, and garlic powder to the mushrooms. 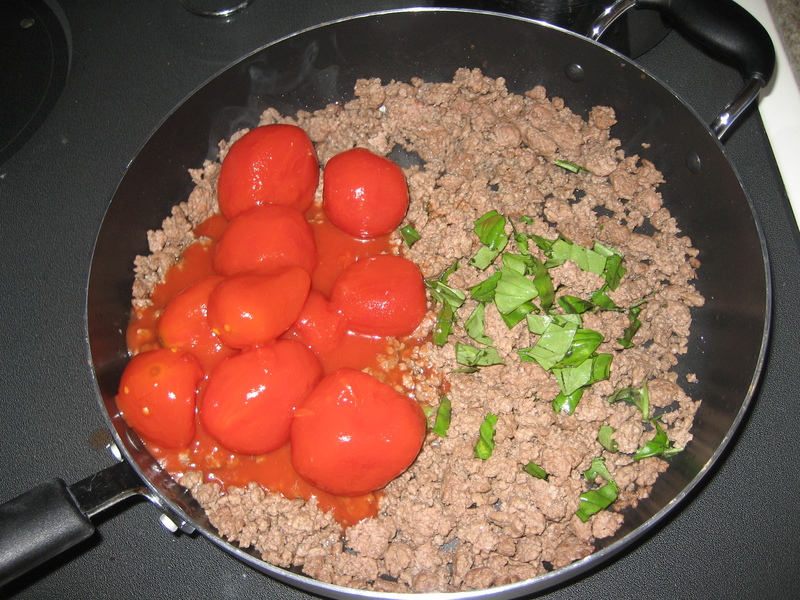 Next I put the can of tomatoes in the pan with the beef and carefully split the whole tomatoes with a spoon. 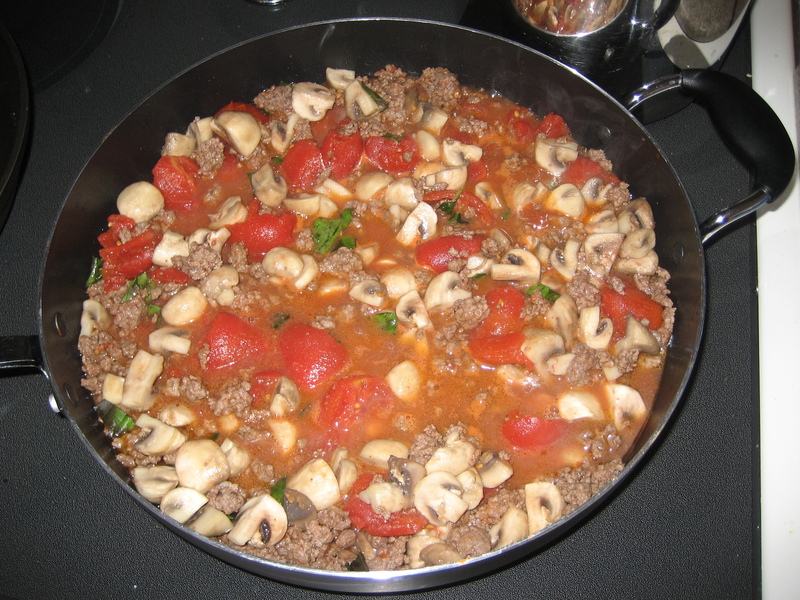 Once the tomatoes are heated, I add the mushrooms to the pan. Tear up the basil leaves and add them along with some salt, pepper, and garlic powder. Combine with the pasta and enjoy. Please feel free to join Rose’s Recipe Group over on Facebook. Do you have any great recipes you’d like to share?